Across the street from Bartlett Elementary School - Next door to the Sunoco Station. We are a full service auto body shop in Manchester that delivers high quality work on time and on budget. 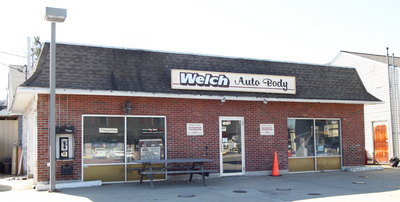 Welch Auto Body offers customers a unique and relaxed environment. From the initial estimate to sparkling, repaired vehicle, people experience a high level of personal attention and care. Whether a small “fender bender” or major car bodywork, Welch Auto Body’s knowledgeable and highly trained staff is prepared to serve your needs. Our professionals take great pride in their work and it shows! Say goodbye to those unsightly dings, scratches and dents on one of your biggest investments...your automobile. 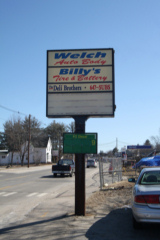 Welch Auto Body will pay attention to the smallest details while never losing sight of the big picture which includes your wallet.